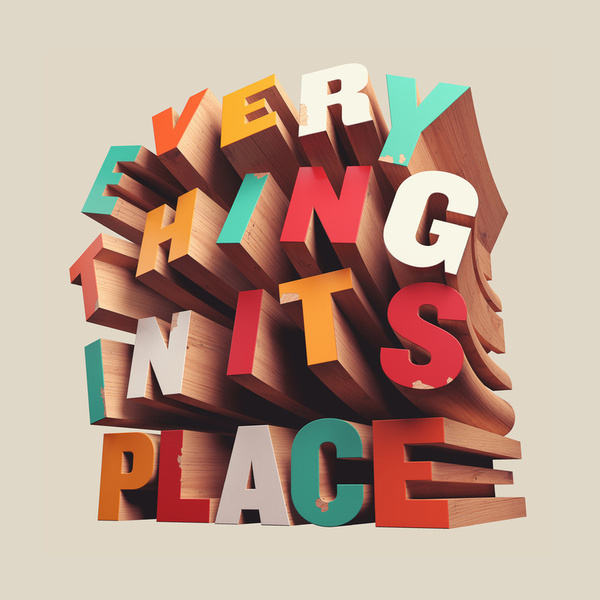 “Everything has its place and there is a place for everything.” This is one of my favorite expressions. I love order and those who know me can testify that I live a very orderly and structured life. I love lists and almost more than checking off each item, I love writing down the things that I must do. I am a planner, a coordinator by profession and at home, I am what others would describe as a “neat freak.” Before I go to bed, the dishes must be washed, lunch bags packed, clothing laid out and everything put away. Having a plan, an outcome makes me happy. Knowing that I am prepared provides a sense of relief. It is expression of my habit of thoughtfulness or mindfulness. Without a plan, I am frustrated and anxious. Without a plan, I believe that I am already late and purposeless. Without an outcome, I feel that my time will be wasted and I lament the time that I will have to redeem (Ephesians 5.16). So in the wee hours of the morning after I have put our son to bed, I rise again to put everything in its place. And while doing so, I am reminded that everything has its place and that there is a place for everything. Though this is often not the belief in matters of race, it is true. There is a place for the bright sun, the shiny moon, all of the stars, comets, airplanes, helicopters and other flying things. The sky shares its space. There is a place for every animal, bird, reptile and insect. There is even a place for every rodent, even if it’s a hiding place! The earth shares its space. But, when it comes to human beings, we don’t seem to be able to share our space or make a place for everyone. We do not share our government, schools or neighborhoods. We do not share our homes or places of worship. There is not enough room because we want more than we need and have more than we can handle. This is why, for example, some persons can live in houses that have more rooms than there are people while others of us sleep on park benches and in the entryways of church buildings. It is because we do not share; we do not ensure that everyone has a place of their own. And I may not fit in or meet society’s racialized standards of beauty, power and position because of the size of my lips and you because of the shape of your eyes or nose. There is no room for those who look different from what race would have us to believe is the model human being–as if there is only one kind. Heaven forbid. God has ordered the earth and created all things, visible and invisible (Colossians 1.16-17). There is a place for everyone.